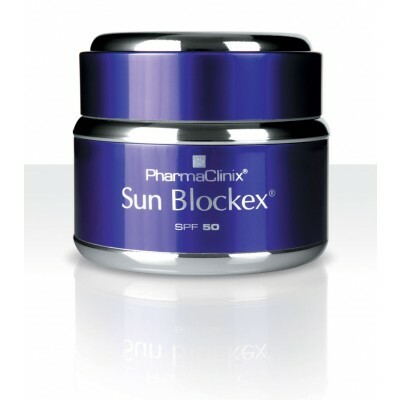 Sun Blockex® SPF50 is a moisturizing total Sunblock cream, which offers maximum protection against UVA & UVB rays. Sun Blockex® SPF 50 contains Titanium dioxide, Octocrylene, Allantoin, Dimethicone, Vitamin E and other vitamins in moisturizing skin conditioners to not only give total protection against hyperpigmentation, but also offer anti-aging. It also contains natural plant extracts, Hydantoin, Allantoin, which ensure that the skin is well moisturised and doesn’t dry out. Apply liberally and gently massage onto your face and exposed areas prior to sun exposure. 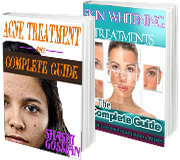 Reapply frequently and after drying. Remember, even on a cloudy day, up to 50 % of the suns UV Rays reach your skin. You may not feel the rays of the sun so strongly while the wind is blowing, but skin damage still occurs. Remember that the sun’s rays are strongest between 11am – 2pm. Sweating dissipates sun screen; be careful after strenuous activity. Apply sunscreen half an hour before leaving home as it will have been fully absorbed. If contact occurs, rinse immediately with plenty of cold water. A thick layer of cream must be applied to obtain maximum protection. You may not feel the rays of the sun so strongly while the wind is blowing - skin damage still occurs.